Giving One of the 2009 TED Talks. Gulp. I don’t normally get nervous about giving talks, but I have one coming up this week that I am feeling very nervous about. I am going to Oxford to do one of the TED talks, and I have to say, I am feeling like it is somewhat stepping up a level! If you are unfamiliar with TED, they give you 18 minutes, an audience of very successful thinkers, inventors, geeks and business people, and ask you to give the talk of your life, which they film in HD and put online where it is viewed by millions of people. And Gordon Brown just did one of the first ones. No pressure then. Anyway, by way of somehow, in some odd kind of way, sharing the stress I am feeling about it, I am going to post here the master set of notes that I will be using. Do think of me, at 8.30am on Thursday morning, clambering onto the stage, with sweaty palms. In good time I’m sure you will get to see the film, but for now, here are my notes. I will be at TED until Friday evening, so there probably won’t be any fresh posts here until next week. “Two of the important stories we tell ourselves are either that someone else will sort it all out for us, or that we are all doomed, I’d like to share with you a very different story, and like all stories it has a beginning. 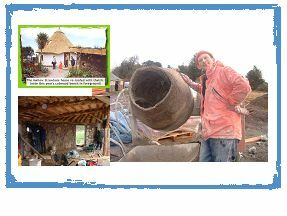 For many years I worked in education, teaching practical skills that were needed in order to live a more sustainable life. I used to teach sustainability based on the idea that sustainability meant reducing the inputs and outputs to a globalised economic structure, that it was about reducing the impact of an economic model that would continue indefinitely. Then I found out about an issue which fundamentally changed how I looked at things. This is really the star of this morning’s show. This one litre of oil contains energy equivalent to 5 weeks hard human manual labour. That means that it contains energy equivalent to 35 days of someone working hard for you. 35 strong men slaving away, all for £1. Astonishing. Ancient sunlight that has been distilled over geological time to form this astonishingly energy dense substance. We can store it, move it around, turn it into a dazzling array of materials, from medicines and toothbrushes to laptops and clothing. We have designed our settlements, our business models, our transport infrastructure, even the very idea of economic growth, on the assumption that we will always have it. All the way up the mountain of what we might call the Petroleum Interval, our degree of economic success and personal sense of prowess and wellbeing have been directly linked to how much energy we have consumed, but we are rapidly moving into a time where our degree of oil dependency is our degree of vulnerability. 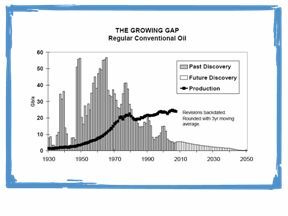 Yet it is increasingly clear that we will not have access to oil forever, indeed that we may well have already begun the long journey back down the mountain. Clearly we will at some point experience a decline. 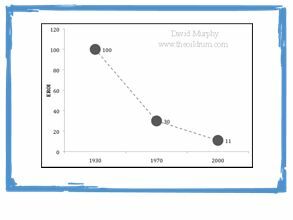 Discovery of oil peaked in 1965 and has been in decline ever since. We now consume four barrels of oil for every one that we discover. If discovery has peaked and fallen, it is only logical that production must at some point do the same. An important element is the fact that we have to work harder in order to get energy out of the energy we extract, EROEI. In 1930, the world got 100 units of energy for every 1 it invested in extracting that energy. That has now fallen to 11 as we find that we have used most of the easy, cheap to produce energy, and are now scrabbling around at the bottom of the oceans and in the Arctic Circle. 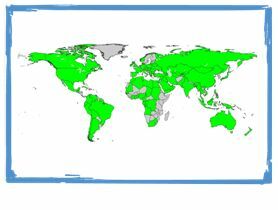 There are 98 oil producing nations in the world, but of those 65 have already passed their peak in production. When does the moment come when on average, the world passes its peak? There is a strong case that that is what happened last July when the oil price rose to $147 a barrel, a historically unprecedented price. Ultimately what matters is not when we pass the peak, rather it is the longer view that we are in close to the end of the Age of Cheap Oil and all that that has made possible. Yet are we to assume, as some do, that the brilliance and creativity that got us to the top of this energy mountain will evaporate when we have to start thinking about designing a way back down the other side? No, but that thinking, and the options we come up with, have to be based on a realistic assessment of where we are. The other issue that underpins the Transition response, is climate change. I won’t say much about that here, given that previous TED talks have included Al Gore! It is important to note however, the speed at which climate change, and our ever more concerning understanding of it, is moving. The scientists have an increasingly terrified look in their eyes. 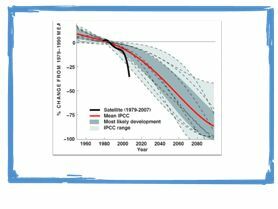 It is now clear that the speed of change is taking everyone by surprise: the scale of melting in the Arctic looks to be 80 years ahead of IPCC projections, and recent work indicates that even if just 3% of the carbon stored in the arctic permafrost were to be released, it would offset all the cuts in emissions the world needs to make over the next 40 years. We have no choice other than urgent and deep decarbonisation. One of the questions that fascinates me is what stories will future generations, those further down the slope, tell of us? What myths and stories will they have created to describe the generation that partied so hard and so abused its inheritance? One way of thinking of it is to look at the stories that people before the Oil Age told, limited as they were by the power available to them from the muscle power of their animals and of their communities aided to a small degree by the wind. 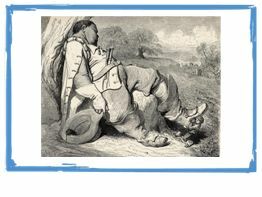 We have stories like the 7 League Boots, the giant’s boots that once put on mean the wearer can stride 7 Leagues with each step (around 21 miles), an unimaginable degree of freedom to travel and ability to cover distance. 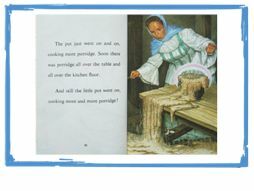 There’s the tale of the Magic Porridge Pot, where a people who worked hard for their food and who knew where it all came from, dreamt of a pot where, provided you knew the magic word, would provide unlimited food at no effort, so long as you didn’t forget the other magic word to stop it and thereby flood your entire town with porridge! Then there’s the story of Elves and Shoemaker, where people who work hard making shoes find that magically the shoes are made for them without their having to expend any of their own energy. All stories from a time that couldn’t imagine having such energy at its disposal. Now, the 7 League Boots is EasyJet, the Magic Porridge Pot is Tescos or Walmart, and the Elves are China. But we have lost all sense of the wonder of that. So what happens next? Where do we go now? It is worth at this point looking at the stories, the cultural stories, we tell ourselves about our options from this point forward. There is the story of business as usual, the idea that we can just continue doing what we are doing now, and that the future will be like the present, just with more of everything. However, the wheels have rather come off this approach, and in the light of peak oil and climate change, it is impossible. There is the story which is also prevalent, especially in our popular media, that everything might collapse or fall apart. This is a strong cultural story, especially in the US. Then there is response that suggests that technology will come riding to our rescue, one, I would observe, is rather prevalent at these TED Talks. The idea that we can invent our way out of a profound economic and energy crisis, that the move to a knowledge economy can allow us to neatly sidestep the very real energy constraints we are facing. The idea that we will discover some extraordinary new source of energy that will sweep aside any concerns about energy security. That we can make a seamless step across onto renewables. It is perhaps because we have shown such great creativity all the way up the mountain, that we assume we can do the same thing all the way down again. what is the full energy cost of this intervention, including all of the embodied energy in the infrastructure needed as well as that from running the system? 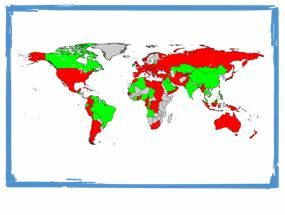 how long will it take to implement and could carbon reductions be achieved any faster with a different intervention? do we, as a society, have enough energy overall to carry through our decision? similarly, do we have enough money to carry out our decision? Energy and technology are not the same thing. Technology will be key, but it will inevitably sit within a context of a world where our real, non-virtual needs are provided by a system moving towards becoming inherently more local. My work has been involved in the creation of a different story, the Transition story. It is the story of the generation that looked peak oil and climate change in the face and responded with creativity, imagination and adaptability. It is the story of seeing that living with less, moving from Gross Domestic Product to Real National Happiness is a step forward not a step back. It is about seeing this inevitable change in direction for humanity as an enormous opportunity rather than an enormous crisis. It is that story I want to share with you today. Transition is, to borrow a phrase from socially engaged Buddhist writer Ken Jones “not about winning the argument, but about changing the climate”. 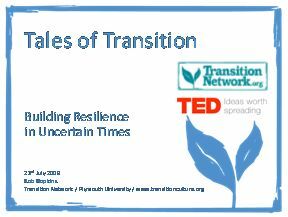 One of the concepts key to Transition is that of resilience. 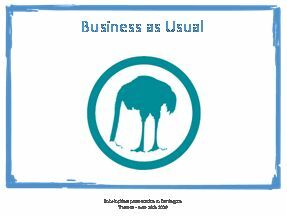 Originally from the study of ecology, it is about the ability of systems, settlements and organisations to respond to shock from the outside. It is, increasingly, a more useful and relevant concept than that of sustainability. When supermarkets contain just 2 days worth of food at any one time, we need to think beyond the sustainability of their stores, to the idea that actually that is a situation which leaves entire settlements highly vulnerable. Resilience thinking runs far deeper. It is about building modularity, surge breakers, into our current, highly networked ways of operating. This picture is of the Bristol and District Market Gardeners Association in 1897, at a time when the city of Bristol was surrounded by working market gardens. It had a degree of resilience we can only look back to with envy. Transition is a process that seeks to catalyse responses to peak oil and climate change, seeing relocalisation not as a conscious choice, but rather as an inevitable shift in direction for humanity which we can choose to welcome and make more elegant. So how does it work? In brief, a group of people who are passionate about this, who feel motivated to initiate this process, come together and start awareness raising event, showing films, organising talks and so on. 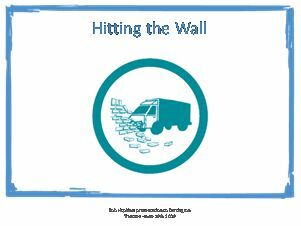 This initial awareness raising stage is creative, playful and informative. 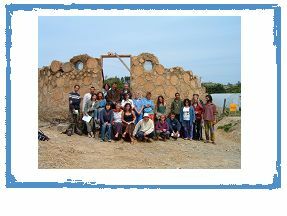 This then leads to working groups forming around different subjects, food, energy and so on, and the role of the initiative is to then offer project support to those emerging groups and the actions they initiate. 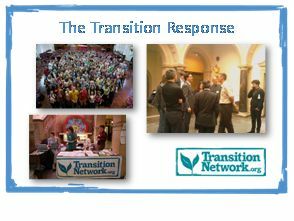 In the past 3 years, Transition has grown from a handful of initiatives to over 200 formal Transition initiatives and thousands of others at the earlier, ‘mulling’ stage. But what do they actually do? What tangible difference are they making on the ground? 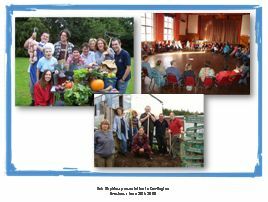 There is a wealth of local food projects, from urban growing to local food directories, from assessments of potential local food production to community supported agriculture schemes. A number of communities are now setting up local energy companies, owned and resourced by the community. Many Transition initiatives work with their local schools, in Newent in the Forest of Dean the Transition initiative bought a polytunnel that the students use to learn to grow food in. 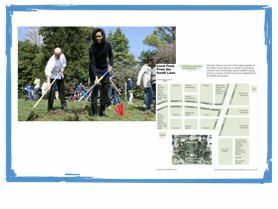 Many promote cycling, organise the sharing of garden space, plant fruit and nut trees in public spaces. Some have even begun to print their own currencies. This is the new Lewes Pound. 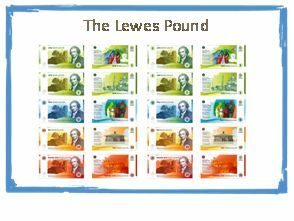 Lewes in Sussex have just expanded the scheme they launched last year so that there are now, £1, £5, £10 and £21 notes, which can only circulate locally, in parallel to national currency, thereby offering a powerful tool to support relocalisation. 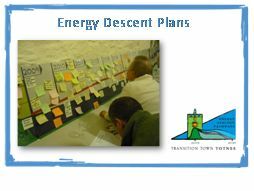 Many are now starting to create what we call ‘Energy Descent Action Plans’, in effect community plans based on peak oil and climate change, embracing those twin challenges as a tremendous opportunity to do something extraordinary. ‘Plan B’s, in effect. It would be entirely fair to say that the scale and pace of take-up of the Transition approach has very much taken me by surprise. As a friend of mine often says “life is a series of things you are not quite ready for”. So where is all this going? The viral nature of Transition is such that it pops up in the most unexpected places. Last year the Transition Handbook was voted the 5th most popular book that British MPs took on holiday with them. That may have something to do with its being printed on recycled paper and therefore being good for mopping up red wine and sun cream, but we are starting to see considerable interest from MPs. The Secretary of State for Energy and Climate Change attended this year’s Transition Network conference, after we invited him to come as a ‘keynote listener’. He’s now telling audiences about the experience of being a keynote listener instead of a keynote speaker. 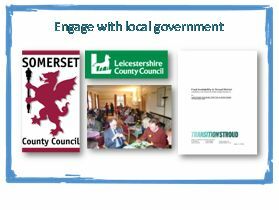 There are now 2 Transition Local Authorities in the UK, Somerset and Leicestershire, dedicated to supporting the many Transition initiatives in their area. In Stroud, where the Transition initiative, in effect, wrote the local Council’s food policy, the leader of the Council said “if we didn’t have Transition Stroud we would have to create all that community infrastructure around these issues for the first time”. There has even been a Transition storyline on an amazingly long-running British radio soap opera, the Archers! 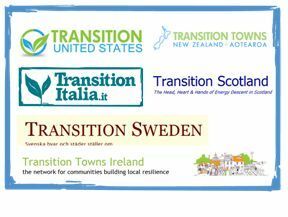 The Scottish Government, through its Climate Challenge Fund, now funds Transition Scotland with significant funding, and we are seeing emerging national Transition organisations in the US, Sweden, Italy, New Zealand, Japan and others. We didn’t expect any of this, but when an idea is right for its time, such is the nature of how ideas spread. Key to Transition is the thinking that it is not that we have to change everything today, but that things are inevitably changing already, and our work is to adapt creatively to that, basing what we do on answering the right questions. When I first started looking into the issue of peak oil, I had no idea that the responses that were generated would affect my life so much, nor the lives of the many thousands of people around the world active within the search for solutions. I argue that the only way we can respond the challenges we face, of peak oil, climate change and economic contraction, is by shifting our focus to rebuilding the local economies ravaged by years of economic globalisation, rebuilding networks to support local food production and local manufacturing, and that therein lies the potential for the creation of skilled, resilient local jobs and businesses that will actually sustain us into the future. Personally I feel deeply grateful to have lived through the Age of Cheap Oil and all the opportunities it has brought me. I have been astonishingly lucky. Let us honour what it has brought us and move on. The only future it can offer us now is profoundly unmanageable and not a place we want to go. By loving, and then leaving, all that it has done for us, we are able to begin the creation of a new, more resilient, more nourishing world in which we find ourselves fitter, more skilled and more connected to each other. If we wait for Government to act, it will be too little, too late. If we do it on our own, it will be too little. But if we do it as communities, it might just be enough, just in time. Brilliant! The following suggestions might help. Cheers. We now consume four barrels of oil for every one that we consume. We now consume four barrels of oil for every one that we extract. *This sounds a bit fluffy. You’ll likely lose credit with quite a few of them. Perhaps Real National Well-Being or Real National Contentment? As a friend of mine often says “life is a series of things you are now quite ready for”. As a friend of mine often says “life is a series of things you are not quite ready for”. The viral nature of Transition is such that it pops up in the most unexpected places. * If you’re sticking to notes, this would be a verbatim repeat of an earlier statement. Rob, your version of this talk to us in Frome was beautifully crafted and delivered. It had a profound impact on us all and I’m sure it will with your listeners – make sure you get a list of them all! It took me a while to find that it stood for ‘Technology, Entertainment, Design’. Great slides, I’m sure it’s gonna be great! “We now consume four barrels of oil for every one that we consume.” I think you mean “produce” at the end? I guess you mean “not”. Wow – what a fantastic opportunity – let’s hope you have a room full of ‘keynote listeners’ who really do listen to this fantastic story – good luck! PS one minor typo – it is the Scottish Government, rather than Assembly, through their Climate Challenge Fund that fund Transition Scotland. This looks great, and the pictures are good. I like the Magic Porridge Pot one and I think it will add fun and lightness to the talk. I have seen some other TED stuff online and they are always good talks. Don’t be too nervous…I’m sure you will be fab! Hope to get a link to this soon, so that I can forward it to everyone I know who doesn’t know much about peak oil and transition. Hi Rob, we love TED!! and your place is well deserved. 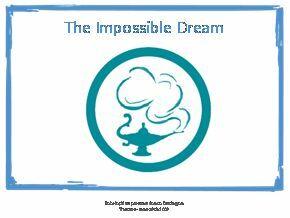 My gut thoughts was to weight the talk with more about the inspiration that is the Transition stories from across the globe, with a shorter summary on the climate and peak oil backdrop. Look forward to the viewing. It is wonderful to see the inspiration level in your talks rising – no doubt you will slay ’em. Got to the end now – I really like the way you have done that. One thing we have come to realise is that you can never have too much awareness-raising. Over here in Machynlleth we have held events and attracted sizeable audiences, but characteristically dominated by certain sections of the community. Last week I gave a talk to our local Rotary Club, which was a different audience altogether. With that in mind, I set to and wrote the presentation with the question “how can I sell this?”. I don’t know about the Rotary, but a lot of people I run into around here are highly sceptical about climate change – they have heard plenty about it and much of that incorrect and conflicting information, especially in the popular press. So I very thoroughly explained about oil – what it is, how it forms, conventional and non-conventional, peak oil, EROEI and so on and then went straight to the model of Transition. It got a very positive response – the peak oil concept (and the need to do something to respond to it) really seemed to grab people. From feedback I’ve amended the talk in places to clarify a few things where I could have put them better. In fact it’s a bit blunt and to the point (and still needs a few dozen slides to achieve that!). But I feel that it is an approach that may well work where others stand less chance of getting peoples’ attention. Have any others had similar experiences? As a friend of mine often says “life is a series of things you are now quite ready for”. So where is all this going? Should it say “not quite ready for”? Rob, you have our permission to resist the temptation to think that. Class as it has been defined of late will come somewhat unraveled. You’re like Ugo Bardi’s Druid, come to Rome to tell Marcus Aurelius it’s all over with all this increasing of the legions while the crops are failing. True – that the story of people telling themselves that “THEY will fix it” – is such a common story. It is the story that people tell themselves when they are unwilling to take personal responsibility for things – “I dont have to – THEY will for me”. It is just an extension of the way many people “plan” (fail to plan) their own personal lives – the “if I just say nowt/do nowt then sooner or later this particular personal problem will just go away” – errr…yes….we all know that every single personal problem we have will eventually “go away” – even if we do absolutely nothing about it – its called Death. There are all sorts of stories one could quote from “time prior”. 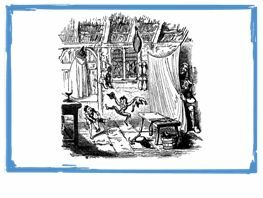 The one about the “Emperors New Clothes” is one that I frequently remind myself of. Theres also, if I recall the tale aright – “The Goose that killed the Golden Egg”. I think a bit more clarification would be good around the point of your jar of oil equalling 5 weeks of hard manual labour – as to just why you are saying that. I read these sorta comments – and am not quite clear as to why they are made and the relevance of them. It is easy to see that the whole of our Society has been built on oil – but that particular point needs expanding on – as its not clear to many (including me). You’re suggesting some more detailed quantification of the litre of oil/5 weeks labour I guess? I’d like to see the figures too – it ought to be straightforward to present them. I keep looking for places where holes may be picked in what we are saying – and factual no-nonsense ways of plugging them! What you have done most to inspire us is turn the negative to positive: Swimming toward the light from the greasy bottom of “trough oil.” Moving toward something extraordinary not away from something irreplaceable. The EDAP as a travel brochure – a vision of a place and time that you’d be bereft if you missed. Be who you are and you’ll be extraordinary. You go, Rob! And (from a friend who coaches public speakers)feel your feet on the ground… helps counter the effects of surging adrenaline! Portland, Oregon will be sending you good thoughts! Thank you all for your collaborative proof-reading service! Much appreciated…. A little less than one year ago, I sent you an email, with a link to TED talks and wrote that I thought you would appear before this audience some time in the future. What you have to say belongs there. Congrats! This indeed is a high “coolness” honor. This presentation is great. 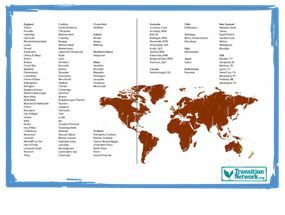 I wish you would include the word Permaculture so to further promote it and to honor your roots. Also maybe try and include some audience participation – visioning- a mini- joanna macy exercise with a neighbor. Something to let them experience Transition! Thank you for all you do and who you are!!! I continue to be inspired…and hope to meet you one day. Can’t wait to watch the video. Great stuff. Who’d of believed it just a couple of years ago hey! Just concerend re time. Can you delever all that in 18 minutes? I hope so but it looks more like 20 to 25!! Having said that, can you articulate something about the internal paradigm shift that needs to happen and is begining to be witnessed? Its not just an outer journey – our inner world view is so fundamental. – joining up the dots! All the very best of luck and keep on. 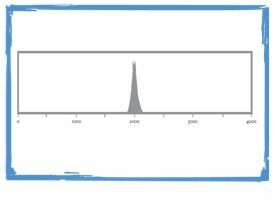 A standard barrel of crude oil therefore contains the energy of 2118 man-days. does anyone know WHEN the TED talk will be online? I came back to this post hoping that the energy calculation for the litre of oil would have been clarified. ie. “one litre of oil contains energy equivalent to 5 weeks hard human manual labour. If Johns calculation is correct then how many litres are in a barrel? 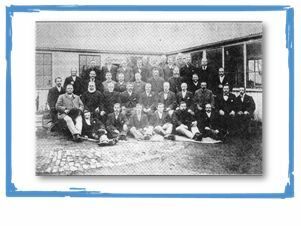 Also, are the slides available in a large format as some of the images would be great to use in our forthcoming talk to our local Town Council? Thanks. Can anyone tell me if this talk is available online to watch? Would very much like to see the live delivery… Thanks! I asked this a long time ago and never got a response so Im still unsure.. I go to it periodically thinking it would appear but it doesnt. good luck please let us all know if and when it does. Im surprised that no one mentioned that it might not ever get televised. It must be somewhere; perhaps backlogged? Yes, the talk is online at http://blog.ted.com/2009/07/rob_hopkins_at.php . It’s well worth a watch. wait a second, it looks like that’s just a link to the notes. I’m surprised i couldn’t quickly find a link to the talk posted. hmm. will post if i find it. I’m thinking they’ve not yet posted/edited Rob’s talk. I see from http://spreadsheets.google.com/lv?key=pjGlYH-8AK8ffDa6o2bYlXg that currently only 30 talks have been posted from TEDGlobal2009 and the latest were in October. I’m guessing they post a few add’l ones each month. I watched your talk. Bravo!